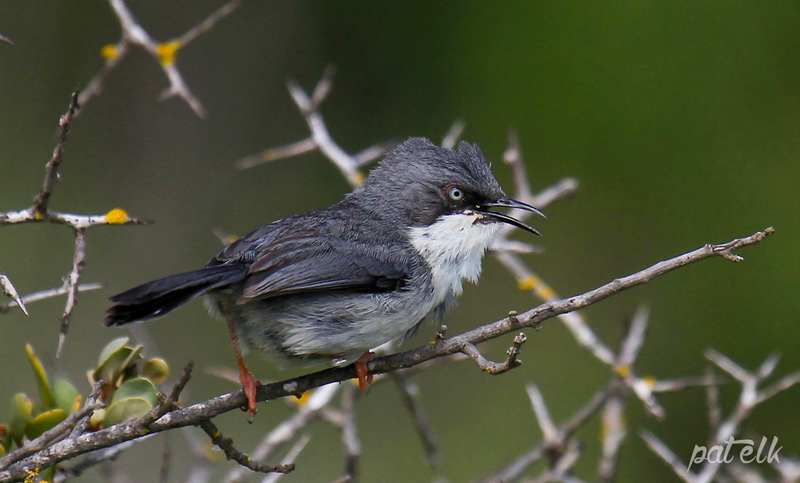 The Bar-throated Apalis (Afrikaans name, Bandkeelkleinjantjie) is a common resident of our coastal thickets. We came across a crowd of them, in the West Coast National Park, shrieking and snapping their wings madly, flying from bush to bush, luckily this one stopped for a couple of seconds, right in front of us. We managed to get two quick pics of him before they all disappeared, just as quickly as they arrived. He looks so grumpy too!